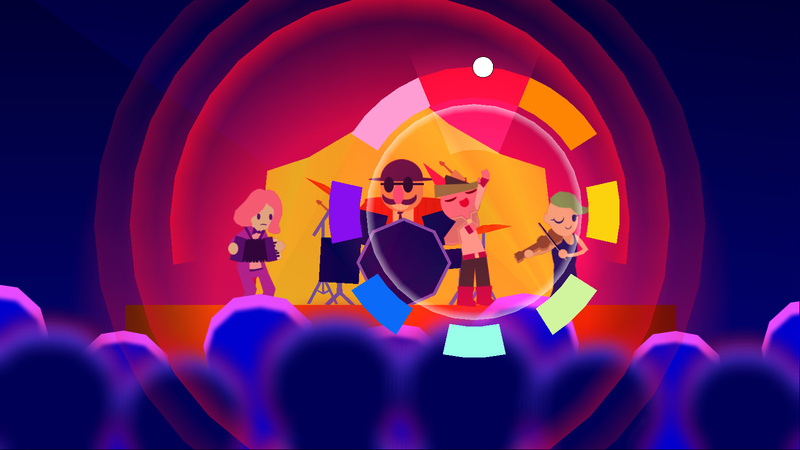 A bard isn't the likeliest of heroes where saving the world is concerned, least of all one with such childlike optimism as the main character of Wandersong. In this side-scrolling adventure, you'll guide the nameless protagonist on his journey to stop a god from destroying the planet. Instead of searching for a weapon or some ultimate power to prevent the disaster, the Bard goes in search of the Earthsong, a tune that unifies all life in order to bring harmony to the world. Our hero doesn't deal with enemies or obstacles through force -- this humble bard simply uses his voice. The game provides you with an octave of notes you can sing at any time, selected with the right stick, and it's this lone mechanic that will see you through. Other characters, animals, and some parts of the environment will all react to your singing in various ways. For example, birds can provide you with a boosted jump if you match their melody, letting you reach high platforms. Ultimately, there aren't really any problems that can't be solved with the bard's vocals. As well as singing, you'll be spending lots of time talking with the inhabitants of various places as you aim to track down all parts of the Earthsong. The tone of the writing here is similar to that of Undertale or Night in the Woods, with lighthearted dialogue, oddball humour, and fun characters throughout. Also like those other titles, Wandersong touches on some surprisingly mature themes that provide a dash of substance to the game's story. Ultimately, it all works rather well, and there are some smart uses of the singing mechanic when faced with environmental puzzles, platforming challenges, or certain character interactions. Unless you get caught up on a platforming area -- jumps can feel a little imprecise at times -- it's an absolute breeze, with seemingly no fail states to speak of. There's definitely an emphasis on characters and their stories, as well as experimenting with the singing to see how the world reacts. In other words, this is great for young players, or if you want something relaxing to play. In fact, there's an argument that it's a little too easy. Another wrinkle to the gameplay definitely wouldn't have gone amiss, because after a while it can all get quite repetitive. As we said earlier, it does have some fun ideas, but it's all so straightforward there's a possibility the moment to moment action will leave you wanting something a bit more substantial. However, there's an inescapable charm to this game. It's so cheerful, with its vivid presentation and amusing dialogue, that it's almost impossible not to get swept up in it all. 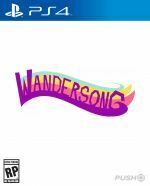 Even with its samey singing solutions, there's an entertaining narrative with a decent cast to keep you playing through its 10-hour run time. 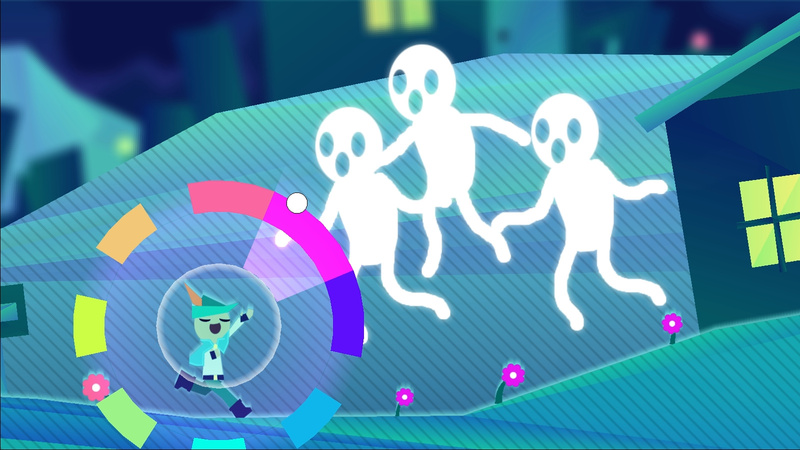 Although the gameplay feels a little on the shallow side, Wandersong is a disarmingly joyful game. 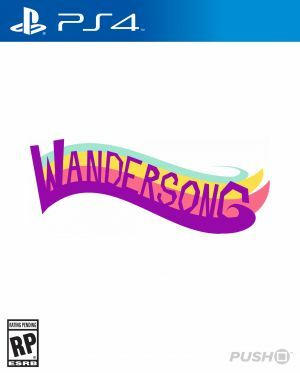 Singing your way through this cutesy adventure may not offer much of a challenge, but mixed in with a varied cast of characters and a sweet story, it's definitely a hard game to hate. First review for the PS4 version and it's a lower score than anything the Switch version got. Push Square is not easily pleased huh.